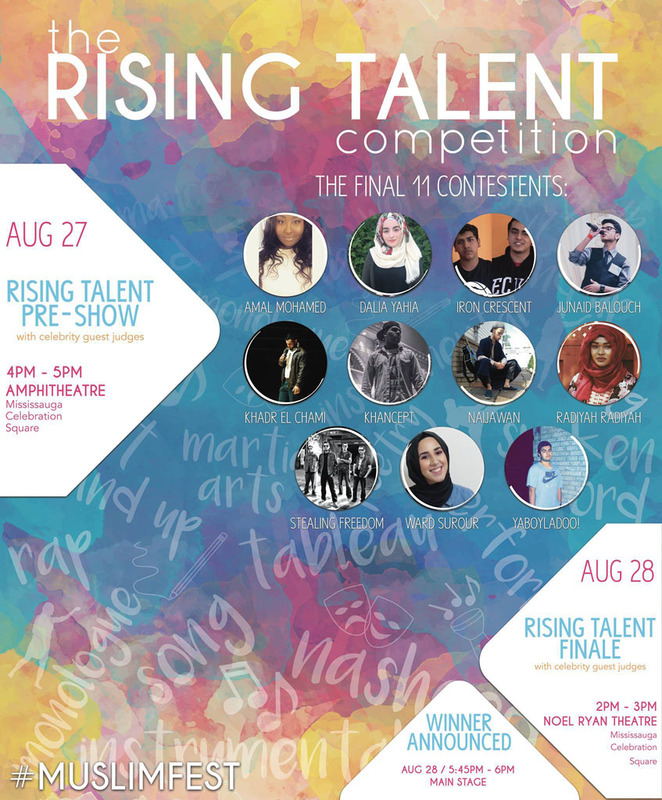 Check out the contestants performing at the Rising Talent PRE-SHOW! 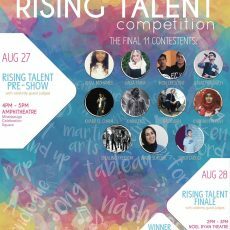 1) On Saturday August 27th, from 4-5pm, at the Amphitheatre, the top 12 contestants will perform. A set of judges will choose top 6-8 contestants to move on to the next round. 2) On Sunday August 28th, from 2-3pm, at the Noel Ryan Theatre, those 6-8 contestants will perform and another set of judges will chose a single winner. 3) The winner will be announced on the main stage Sunday evening.